There are some deserted sites, tanks and kund seen in tahsils of the district and they carry vague legends. One of the ancient site of the district, "Baluwa" is situated about 21 km. to the southern part of tahsil sakaldiha at the banks of river Ganga where Ganga flows from east to west direction. A religious fair for Hindus takes place every year in the month of magha(January) which is known as "Pachchim vahini Mela" it is said that the Ganga flows east to west direction only at two places in the country first in Allahabad and second one at Baluwa.Village Ramgarh of tahsil sakaldiha, known as birthplace of great Aghoreshwari saint shree Kinaram Baba is just 6 km. away from Chahniya. He was a great follower of vaishnav faith and also Shiva and Shakta faith, and believed in god power. He devoted his entire life for the services of mankind. This place has become holy place for Hinduism.In one of the ancient sites in the village Hetampur of the district, there is a fort which is known as "Fort of Hetam" which is situated about 22 km. to the north east from the district headquarters. The ruins of this fort are spread over on 22 bigas in area. It is said that this fort was designed and constructed between 14th to 15th centuries by Todar Mal Khatri who was the construction supervisor in the kingdom of Sher Shah Suri. After Mughal period, Hetam Khan, Talukedar and Jagirdar captured this fort. There are five famous ruined kot, known as Bhulaini Kot, Bhitari Kot, Bichali Kot, Uttrai Kot and Dakchhani Kot, which attract the visitors.Being the part of Kashi Kingdom, the history of the Chandauli district is the same as of Kashi Kingdom and of Varanasi district. Before the birth of lord Buddha, in 6th century BC, Bharatvarsha was divided into sixteen Mahajanpadas; Kashi was one of them and its capital was Varanasi. Modern Banaras with its surroundings region was called kashi Mahajanpad. Varanasi city is one of the ancient cities of India, as well as among the ancient towns of the world. It is a centre of learning since long ago. Its name comes in Puranas, Mahabharata and Ramayana. It is a sacred place of Hindu as well as Buddhist and Jain also. The name of Kashi came to be known after name of king Kashi the seventh king of this dynasty. After the seventh generation a famous king, Dhanwantri, ruled over this region, whose name is famous in the field of medicine as founder of Ayurveda. 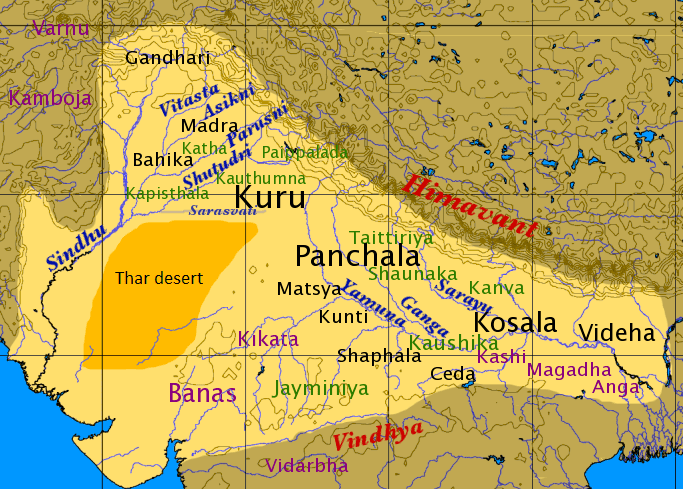 Kashi kingdom was, however, dominated by Brahmadutta dynasty of Magadh during the century preceding the Mahabharata war but past Mahabharata period saw the rise of Brahmadutta dynasty. About a hundred kings of this generation are said to have had their supremacy over this region, some of these rulers become the Chakravarty Samrat. King Manoj of kashi brought the kingdom of Kaushala, Anga and Magadh in his possession and annexed their territories to his empire. In the Jain scriptures, a king of kashi named Ashwasewa was the father of 23rd Tirthankar Parshvanath.In 1775 Kashi Kingdom had come under the influence of British Empire. The last king of this generation was Bibhuti Narayan Singh who ruled for about eight years till the emergence of independence, Banaras state was merged with India. Babu Prashidh Narayan singh was the 1st graduate in Chandauli District. He was the first leader of Varanasi and Chandauli district. He was the first Chairman of Banaras District Board. Kadirabad is the birthplace of Babu Prashidh Narayan singh, the freedom fighter from Chandauli and Varanasi. 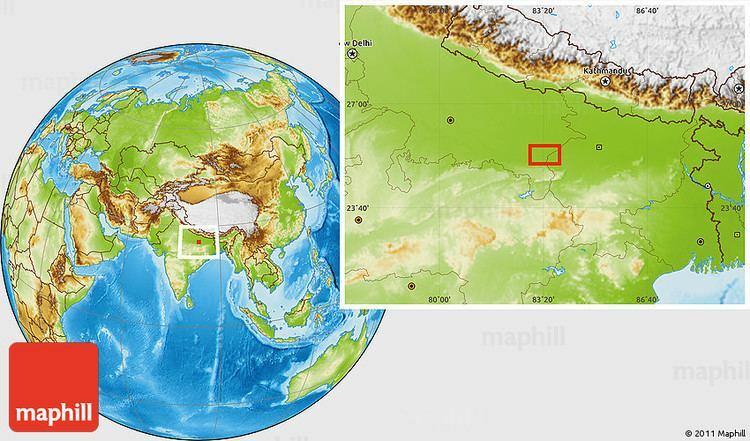 Chandauli is located at 25.27°N 83.27°E﻿ / 25.27; 83.27. 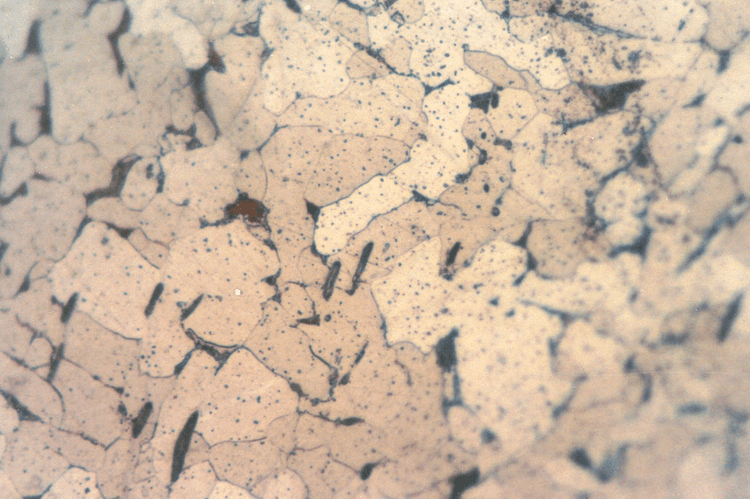 It has an average elevation of 70 metres (230 ft). It comes under Varanasi division of Uttar Pradesh. It is located just about 30 kilometres from Varanasi. Mughalsarai, a major and very important railway junction between Northern and Eastern India is located in Chandauli district. 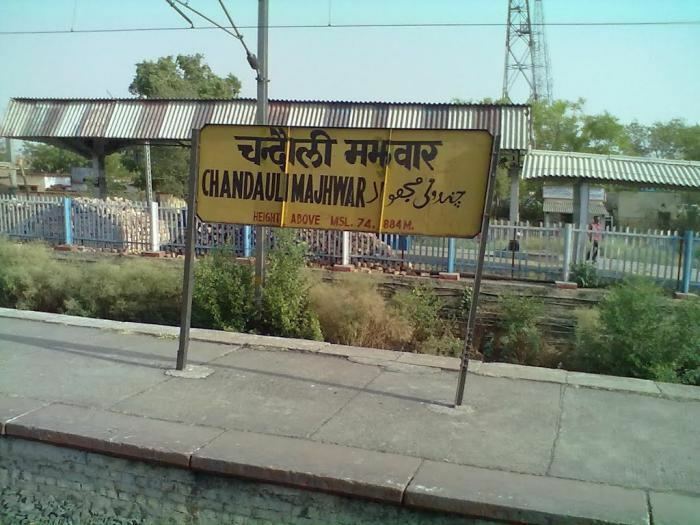 Chandauli Majhwar railway station serves Chandauli. Number of blocks : 9 : Barahani, Chandauli, Niyamtabad, Chahaniya, Sakaldeeha, Dhanapur, Chakiya, Shahabganj and Naugarh. Rivers : Ganga, Karmanasha, Chandraprabha and Garai. Dams : Naugarh, Mushakhard, Chandraprabha, Latifshah, Bhaisoda. Waterfalls : Rajdari, Devdari, Aurvatard, Karmanasha Waterfall and others. Lakes : Chandraprabha, Bhaisoda, Naugarh, Mushakhard, Latifshah and others. Government organizations: Large Scale Sheep Breeding Farm Bhaisora, Naugarh is second largest sheep breeding farm in Asia. 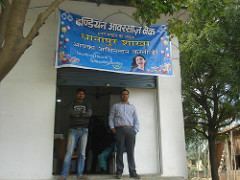 It is situated in Naugarh tehsil of the Chandauli district, 72 km away from the district headquarters. The farm is spread over around 5000 acres. It is also locally known as "Bheda Farm". It is one of the organizations working under the Department of Animal Husbandry, government of Uttar Pradesh. As of 2011 India census, Chandauli had a population of 1,952,756. Males constitute 52.12% of the population and females 47.87%.In 2011 Chandauli has an average literacy rate of 71.48 compared to 59.72 of 2001, higher than the national average of 59.5%; with male literacy of 81.75% and female literacy of 60.45%. 16% of the population is under 6 years of age. Food: In winters, people in this region enjoy real taste of regional food. Well cooked millet with curry of fresh peas, fresh potatoes, carrot and spices along with mustard paste, tastes very delicious. Chapaties prepared form millet flour, along dish prepared form spinach and mustard leaves also tastes good, chapaties can also be eaten with ghee mixed with home made jaggery. People also prefer cooked millet with chutney made of tomatoes, garlic leaves, coriander leaves, ginger, green chillies, cumin seeds. Sweet boondies (made form bengal gram flour and fried in ghee) with along curd is preferred by people. The preferred sweet in this region is chena made form milk (after souring milk- paneer is extracted and then chena is prepared). Jalebies (made form gram flour) along with condensed milk is also favorite among people in this region. Gaon Giraw is the first weekly and first daily Hindi newspaper of the district. Shridhar Dwivedi is the founder of this publication group. Anil Singh is well known journalist of up belongs to Chandauli district. Rajnath Singh, Home Minister of India, was born in Bhabhaura, a small village in Chandauli District. Lal Bahadur Shastri, Prime Minister of India, was born in Mughalsarai. Varanasi-30 km; Allahabad-155 km; Gwalior-623 km; Lucknow-320 km; Kanpur-350 km; Ghazipur-50 km;Mirzapur-80 km; Jaunpur-90 km; Azamgarh-125 km; Gorakhpur-210 km;Patna-230 km; Gaya-230 km; Ranchi-400 km;Jharsuguda-824 New Delhi-810 Kolkata-670 km Madhupur Sonbhadra -85 km chahaniya -20 pur sarif roshan jamir chisty mazar sarif 30 k.m.